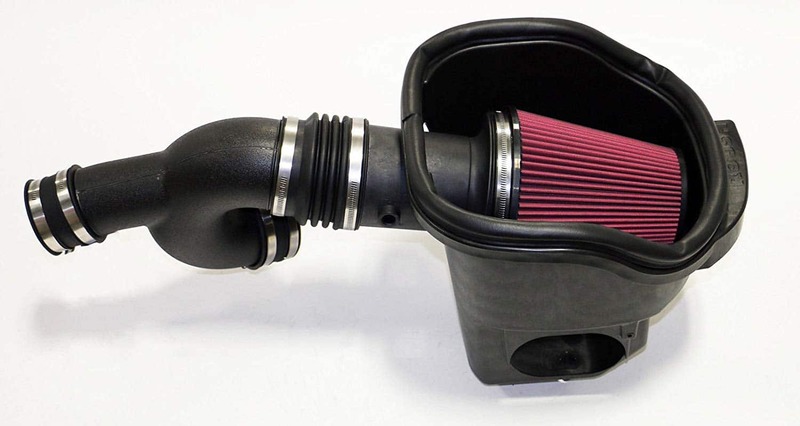 Today, we’re bringing you the best cold air intake for F150 Ecoboost. Installing a cold air intake on your F150 Ecoboost will give your truck increased air flow, more horsepower, and as a side bonus, additional intake and turbo noises (if you’re into that sort of thing). Tow better, go faster, and have more fun doing it. Without further ado, here are the 5 best cold air intakes for the F150 Ecoboost. 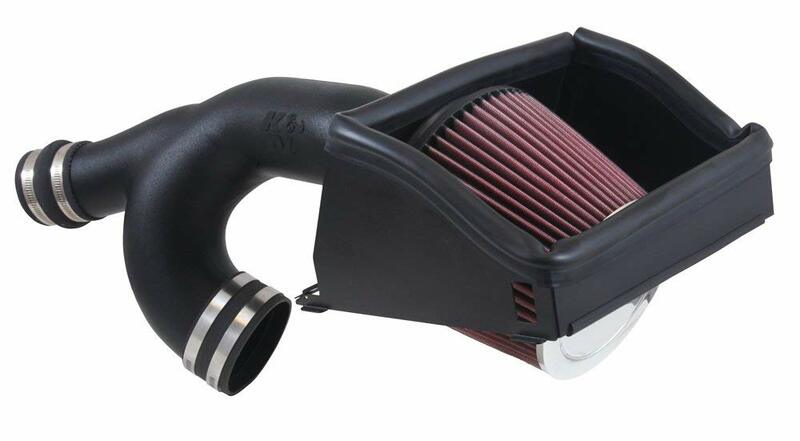 aFe Power Magnum FORCE Performance Intake System Up to 84% increased air flow. K&N Performance Cold Air Intake Kit 23.01 Horsepower Gain. 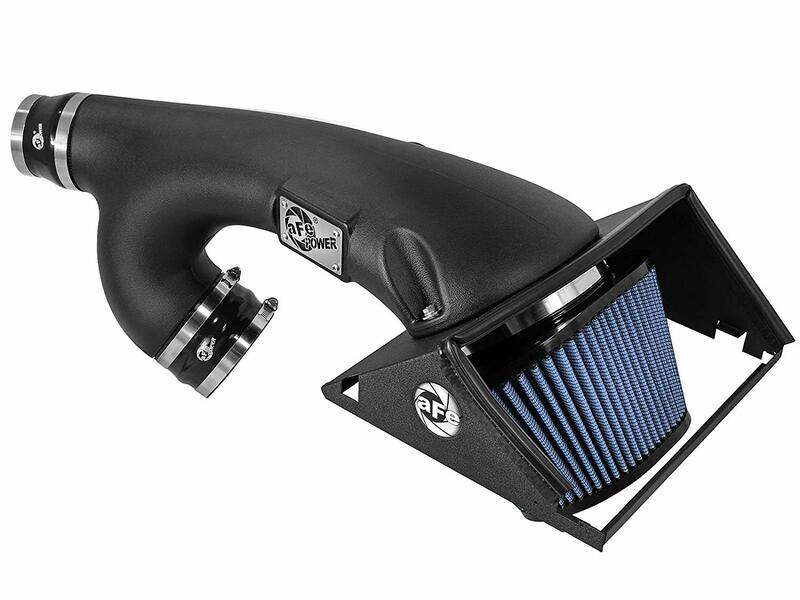 aFe Power Magnum FORCE Performance Cold Air Intake System Up to 67% increased air flow. Roush Engine Cold Air Intake System 28 rear horsepower & 27 ft-lb rear wheel torque gains. 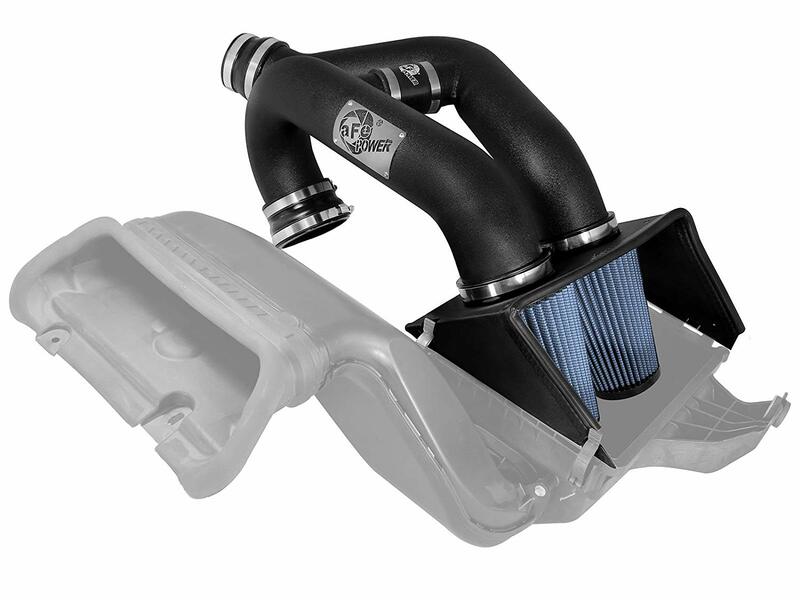 The mother of all intakes for F150s with Ecoboost is here from AFe Power. Comparing this intake to the factory installed intake, you’re about to be amazed. This intake outperforms the factory’s stock by up to 84%, allowing your engine to function that much closer to perfect. The intake uses five layers of fine cotton gauze that gets progressively finer to squeeze the maximum amount of airflow into your engine to provide the maximum amount of power. Its heat shield is specifically designed to fit into your F50 Ecoboost engine perfectly. That makes for a really easy, hassle free install that you will certainly appreciate. The filters themselves are oiled up for maximum performance and washable, as well, so that you can get a ton of mileage out of these filters without seeing any power loss. Altogether, this performance intake system proves to be the best cold air intake for F150 Ecoboost engines and you’ll be proud of its performance and engine roar under your hood. Pair it with a tuner or not, you’ll be happy with the improved performance. If you’re looking for filtering options, you most likely already know the K&N name and the K&N red and orange packaging. They are market leaders in filtration from air to oil and seen as some of the best in the business for a good reason. This filter, developed specifically for F150 Ecoboost engines, is guaranteed to improve your ride’s horsepower by providing better airflow to your engine. Once it has replaced your factory air filter, you’ll see up to 100,000 miles with of increased throttle response and horsepower – and a sweet new roar to your engine. Estimates show that the horsepower will go up approximately 23 HP @ 3505 RPM, a worthwhile change to be sure. Free-flowing high density polyethylene tubes and the best in K&N filtering are yours after installing this intake kit. If you are trying to take your ride to the next level in a quick and easy way, you have found it right here. 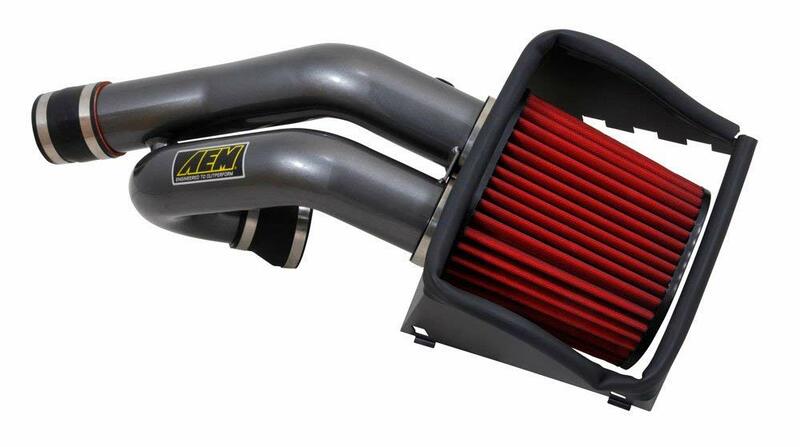 Our next intake on our list of the best cold air intakes for F150 Ecoboost engines is this one from AEM. Lasting up to 100,000 miles, this intake will take your ride up a notch and get things flowing like you would have never recognized if you kept a stock air intake. The filter itself is an AEM Drfylow air filter that is washable for a ton of use over the years. The increased horsepower will be immediately noticeable and you’ll also have a far sweeter engine sound coming from underneath the hood. The strength of this cold air intake system is that it is tuned and dyno-tested specifically for improving acceleration so if you are wanting to get out of the gates (or the stoplight) quicker, you’re in luck. Additionally, this part is easy to install using tools you definitely already have lying around. Coupled with the instruction manual, you will have an instant improvement to your ride immediately. Another of the best cold air intake for F150 Ecoboost options that are out there is this one that is, once again, from aFe. As we already know, we shouldn’t be shocked to see aFe on air intake “best of” list, but twice is really something special. This particular filter receives high ranks due to its superior design and performance that ends up giving up to 67% more airflow to your engine that a stock intake. The five layers of oiled cotton gauze media work together to achieve maximum power for your ride like no other intake will. The powder coated aluminum meets in an H-pipe behind the filtration unit and the heat shield actually snaps into the factory air box that is already in your F150 Ecoboost engine. That makes it really easy to install and a breeze to find out just how easy it is to improve your engine’s performance. You won’t be disappointed if you go with an aFe cold air intake system – especially if this one ends up being your choice. What if I told you there was a way that I could improve your engine’s horsepower in about 10 minutes? I’ll also get you an improved throttle response and 27 ft-lb of rear wheel torque gains? And, on top of that, your engine is going to have a way better sound to it. Oh, and one last thing: Odds are you are going to see a nice little uptick in gas mileage that you wouldn’t have otherwise. I knew you would be interested. Well, with this cold air intake system from Yates Performance, you will get all of that without any engine modifications other than replacing an air filter. This filter works with any F150 Ecoboost engine from 2015 to 2017, requiring no tuning or other toil whatsoever. Simply use some tools you already have lying around and follow a few simple instructions. Easy installation for multiple benefits. How could you want more out of a new car part?! For those who have only just begun their cold intake search and may not know exactly what they need to be looking for, we’ve got you covered. While it may not be the part you think of first when you think about your engine, carefully considering your cold air intake can lead to a variety of benefits. Read on to keep learning just why you need to get one of the best cold air intake for F150 Ecoboost engines options around. To put things simply, an air intake lets your engine breathe. To create the fire that drives your piston, you need gas and air, much like any other flame you know of. Well, your air intake lets that air in to get your engine popping. A cold air intake, in particular, reaches out beyond the engine compartment to grab cooler air than that what is around your engine block like your stock intake gets a hold of. This is desirable because cooler air is denser so it carries more oxygen, getting you more power from your engine since it has more air to burn. Long story short: A good cold air intake means more power. Like we just said, the benefit of a cold air intake is simply that your engine is going to have better power output. But, more specifically, you’re going to see a few improvements in your vehicle immediately. First, you’re going to get increased throttle response for a smoother ride. Second, you’ll see an increase in horsepower along with some extra torque that you would have never gotten without your new cold air intake. Third, there is a chance that, with the right intake, you could see an uptick in fuel economy! Easy install, clear benefits, and not the worst price tag all make for a great way to improve your vehicle instantly! The most important thing you have to make sure of when you get a cold air intake is simple: make sure it fits. Yes, cold air intakes come in different shapes, sizes, and fits in order to fit certain vehicles and engine types. In order to reach out and get some nice, cool air, they have to be shaped in such a way that they will fit the existing engine compartment. So, be certain your cold air intake is right for your car. After that, the only serious considerations that you should have are price and performance. Find yourself the right combination of a price that works for your wallet and performance that will make you and your engine happy and you have found the best cold air intake for F150 Ecoboost engines. What you need to avoid when getting a cold air intake is exactly the opposite of what you should be looking for. First and foremost, don’t get a part that won’t fit your whip, man! An intake that doesn’t work for your ride isn’t worth much to you, is it? After that, make sure you don’t break the bank in any ridiculous way for the sake of getting a boost in engine performance. Get enough extra performance that makes you happy and get on the road! – Do cold air intakes work? Absolutely! For your engine to run, it needs gas and air – and your new cold air intake will get you way more air into your engine than a stock intake ever would. You’ll immediately notice your engine producing more pop than it ever had before and brand new life for your vehicle. – How to clean cold air intake filters? Each manufacturer will have their own cleaning instructions, so be sure to following those directions carefully. Generally, to clean an air intake filter, remove it, apply a cleaning solution, let soak and rinse. – Does a cold air intake void warranty? The only time an aftermarket part can void a warranty is if the manufacturer can show that the aftermarket part is what led to the damage on the vehicle. Fortunately, an air intake simply can’t do any damage to the rest of your ride so, odds are, no, your new cold air intake won’t void any warranties. – Does cold air intake increase gas mileage? If you put the right intake on the right engine, you may see improved gas mileage! While fuel economy isn’t the main draw of getting a new cold air intake, they may give you a small uptick that you could see as covering the price of your cold air intake altogether. – Can a cold air intake cause problems? If a cold air intake gave your car more problems, we would be shocked because you would be the first to report such a thing happening in history. If anything, a new intake will improve your engine because you will be replacing an old filter. If you have read this far, we know you need a new cold air intake. Lucky for you, you have read about the best cold air intake for F150 Ecoboost engines options that are out there as well as our buying guide. Now, you have all of the information you need to equip your F150 Ecoboost with a new cold air intake that will make it the best engine that it can be. All you have to do is pull the trigger and get one! Just remember: You’re going to have some increased throttle response, extra horsepower, and some boosted torque so the lead foots out there may want to watch out! If you’re still shopping around and you’re not quite sure what to spend your hard earned money on first, consider adding a tuner or a tonneau cover.